Every year more than 1.5 billion people in 70 countries observe daylight savings time (DST). Every year more than 1.5 billion people in 70 countries observe daylight savings time (DST). This ritual pushes sunrise and sunset one hour later on the clock than the day before. 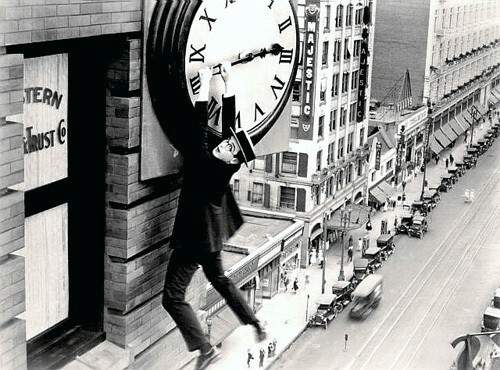 Recent research indicates that this seemingly benign manipulation of time can be life threatening. Life rarely provides a natural experiment of such proportions. In scrutinizing these time changes, several investigators have noted a significant increase in heart attacks on the Monday following the spring DST. This finding goes beyond any change in rates that would be expected by random or seasonal variation. One group observed changes in admissions for acute myocardial infarction (AMI or heart attack) undergoing percutaneous coronary intervention (the common treatment for heart attack). The study period covered three years and drew data from a broad patient population across all hospitals in the state of Michigan. They found a 24% increase in AMI on the Monday following spring time changes. Conversely, a 21% reduction in AMI was observed on the Tuesday following fall changes. No other days or weeks revealed significant associations. These dramatic findings should not surprise us. A growing body of research documents the importance of circadian rhythms. We evolved on a rotating planet that created days divided into light and dark periods. This resulted in the evolution of a biological day shift, so to speak, bearing little resemblance to the night shift. Daytime metabolism excelled at being alert, eating, energy harvesting and storage while nighttime metabolism was designed for sleep, fasting and accessing stored energy for regeneration and repair. These contrasting functions are synchronized with the 24 hour day by an internal clock. In fact, every organ has a clock. These biological timepieces direct metabolism and physiology by turning on and off thousands of genes, depending on the time of day. Loss of synchrony between internal and external (light-dark cycle) clocks causes health problems. This was first appreciated in rotating-shift workers. Studies have documented more than a twofold increase in risk of cardiovascular disease in this population. There is a normal diurnal variation in several cardiovascular functions. In the early morning blood pressure, heart rate, coagulation and coronary artery vascular tone (constriction) all increase. This results in a mismatch of oxygen demand and supply that makes the heart more vulnerable in the early morning hours. And this is when most heart attacks and arrhythmias occur. DST was first created to conserve energy to support the war effort during World War I. It wasn’t until 1966, with the Uniform Time Act, that states coordinated their clocks. In 1974 Congress extended DST to 10 months to save energy during the oil embargo. It reportedly saved the energy equivalent of 10,000 barrels of oil per day. Our genome is the crowning achievement of adaptation to a life that no longer exists. In surviving as hunter-gatherers, populating the earth as agriculturalists and building the modern world as industrialists, we have created an environment that is alien to our biology. We might as well live on another planet. In our hubris, we tamper with time. The conventions of modern life have been shaped by our industry, not our biology. While DST may coordinate and facilitate many things, our biology is not one of them. An unignorable body of data makes clear that what’s good for industry is often bad for our health. Originally published at www.huffingtonpost.com on March 3, 2017.